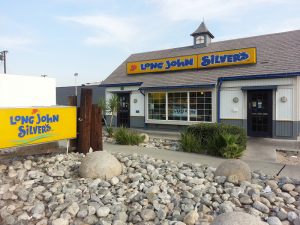 Here at Dine 909 we like free, and we also like fish and chips, which is why we’ll likely be standing in line at Long John Silver’s sometime between 11 a.m. and 3 p.m. on Saturday (August 2). 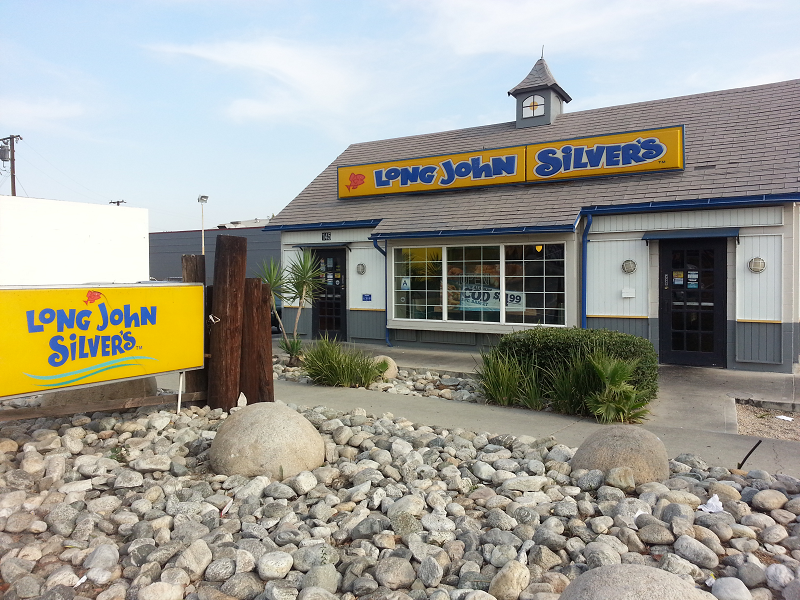 The seafood chain is repeating its successful (and likely Guinness record-breaking) fish and fries giveaway it held at the end of June. Maria Rogers and Wendy Gallal are gearing up to open Padua Pasta Makers in downtown Upland and are in the process of raising funds for the business via Kickstarter. Their goal is to raise $20,000 to help complete construction and pay for start-up costs. They have until July 30. The Italian deli will specialize in fresh pasta and ravioli made from scratch daily. Perks for donors range from a hearty ‘thank you’ for a $10 donation to a full day of making pasta, plus dinner for four, a goodie bag and a signature slotted spoon for a $1,000 donation. If you wish to help them out, click here. For more information, click here to for Inland Valley Daily Bulletin reporter Liset Márquez’s article on the business. 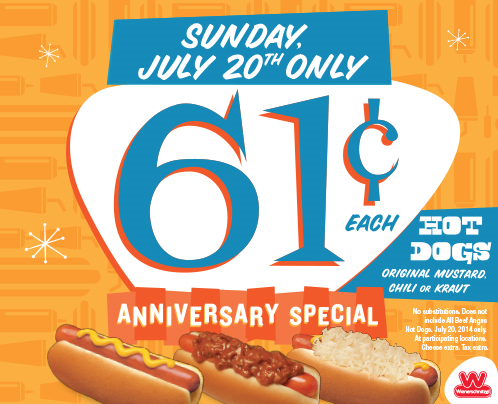 Today (July 23) is National Hot Dog Day, and Sonic Drive-In has a deal for you! Stop by any Sonic and get an All-American Dog or Chili Cheese Coney for just $1. Sonic’s Inland Empire locations include Rancho Cucamonga, Apple Valley, Victorville, Hemet, Murrieta, Cathedral City and Yucca Valley. Another chain is celebrating its 50th anniversary this year…Arby’s! 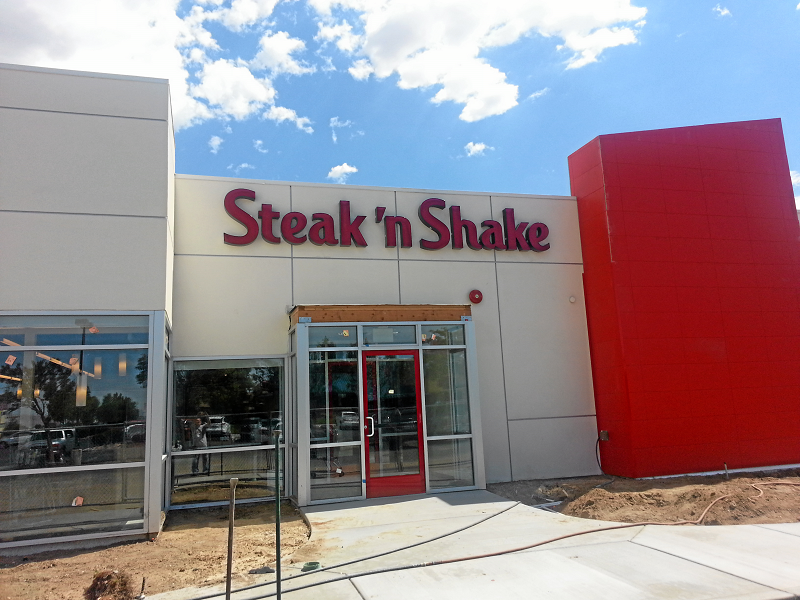 To help celebrate, the roast beef purveyor is offering its guests a free 12-ounce Jamocha shake today (July 23). All you need to do is visit this page and print out the coupon. 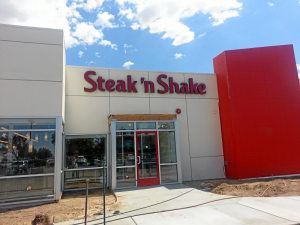 Inland Empire Arby’s locations include San Bernardino, Redlands, Fontana, Upland, Chino Hills, Hesperia, Victorville, Apple Valley, Barstow, Corona, Riverside, Moreno Valley, Hemet, Murrieta, Temecula, Palm Desert, and Coachella. Even though the first Wienerschnitzel opened in Wilmington on July 3, 1961, the chain is celebrating its anniversary on Sunday (July 20). Fans (well, anyone really) can purchase hot dogs for just 61¢ that day. Choose from original mustard, chili or kraut dogs. We vote for chili dogs! Anybody with us? We’ve mentioned in the past that there are some things worth heading out of the Inland Empire for and one of those things is Galco’s Soda Pop Stop in Highland Park. 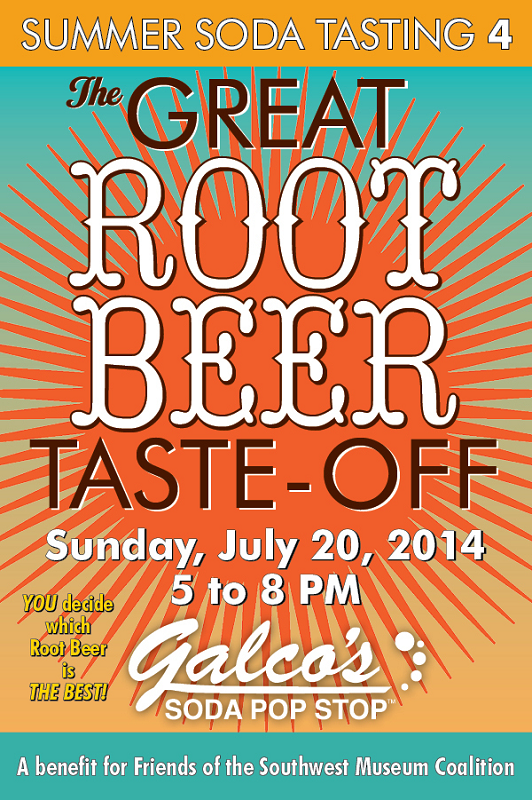 While the store (and its hundreds of soda varieties) is worth visiting any time, the last few years the store has hosted a great summer soda tasting event, which doubles as a fundraiser. This year, the focus is on root beer. 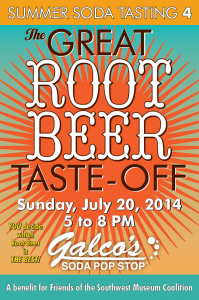 The store will have more than 75 varieties of root beers, birch beers and sarsaparillas available for sampling. Claremont launches its second restaurant week today (July 14). Unlike some of those other restaurant “weeks,” this one actually does last a week, coming to a close on Sunday (July 20). However, based on what we sampled at the kickoff event this past Thursday, we wish it were longer.